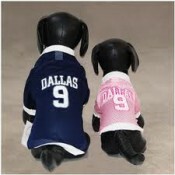 Dallas is known for many things –the oil industry, the Cowboys, the Cheerleaders, the Pooch Patio. Oh, you didn’t know about the paws-itively amazing wine and beer bar and doggie play date meet up spot in Dallas? The Pooch Patio is a self-serve dog grooming/coffee house/wine bar/beer garden/doggie day car/internet café business than encourages patrons to bring food into the establishment for a light snack with other dogs and their owners. That a place like this exists tells me that Dallas treats their hounds right. There’s boundless activities to do and places to go in Dallas if you’re traveling with pets. The city offers a wealth of bars and restaurants with patios fit for a King… Charles Cavalier Spaniel, that is. Capitol Pub, State & Allen Restaurant and Lounge, Vickery Park Patio, Toulouse Cafe and Barley House all have dog friendly patios and a few even offer doggie delicacies on their menu. If you want to do a little shopping, Dallas insiders say that Neiman Marcus, that great bastion of Texas style and wealth is dog friendly. Shopping in one of the many stores along Knox Street is a nice day spent browsing with your buddy as the stores along this street are all dog friendly as are the patios of the various restaurants, bars and cafes. For a fun day in Dallas with your dog, try taking him to White Rock Lake Dog Park – Dallas’ first off leash city dog park to romp in the grass and play on the banks of the lake. Don’t forget to bring a Frisbee or tennis ball for some great exercise and fun with your pup! Nearby, at the intersection of Mockingbird and Abrams is Dirty Dawgz, an all natural organic self service dog grooming establishment. Next door is Sol’s Nieto Mexican restaurant with a dog friendly patio complete with dog bowls for water. The combination of the park, dog grooming place and restaurant are within a few blocks of each other and make for a fantastic date for you and your favorite dog. You can find all these fun things to do and places to eat on our Dallas Travel Guide. As far as dog friendly hotels and Dallas, there is no lack of accommodations for you and your best buddy! Check out the directory of hotels in Vacation Pet Friendly - the largest directory of pet friendly hotels worldwide. You’ll find Hiltons, Westins, Sheratons, a W, Marriots, Radissons, Crowne Plazas and more that will happily house both you and your hound. Dallas is a dog-gone amazing city to visit with your dog! Start your search for pet friendly hotels in Dallas here. Then sit back and think of all the fun things you can do when you get there!